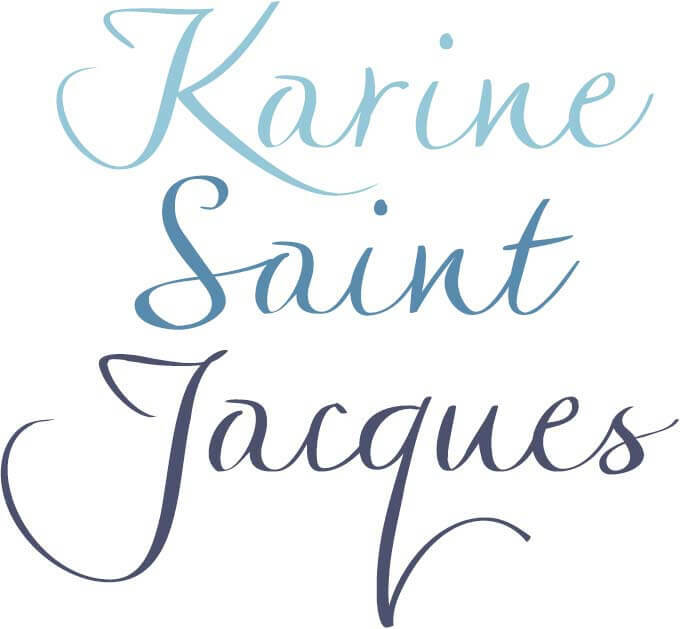 As the author Karine Saint Jacques, I pen Contemporary Romance and Young Adult Fantasy Romance. I adore imagining slow-burn love stories, fraught with diverse obstacles, where the romantic pairings struggle to overcome each and every hurdle preventing them from being together—in real-life or imaginary settings. I create wounded heroes and heroines who intrigue and move me in the deepest way. I lead them to challenging adventures where they impact and inspire each other to become the best versions of themselves, whether it is a romance between two protagonists or a more complex story about a large cast of characters whose individual tales collide. I’m enthralled by ensembles, equally as a writer and as a reader. One reason is that I want all of my characters to have the opportunity to step into the spotlight even for a while. The other reason is that I like the myriad of possibilities they bring and the variety and complexity they offer. Magic is always present in my creations, be it ordinary or extraordinary. I believe in the power of love that transcends any obstacles and find my inspiration in movies, TV shows, books, music, and whatever fascinates, affects or revolts me. I aspire to create unforgettable stories about flawed and touching heroes and heroines, who strive to learn one of the powerful life lessons: “Love is worth fighting for,” and to build memorable relationships between them. My first clue appeared when I was in elementary school and we were assigned to write a short story. I still remember telling a fairy tale about six princess sisters falling in love with six prince brothers. Even though I enjoyed the assignment, not once did it ever cross my mind that storytelling would someday have a significant role in my life. Then, over my teenage years, my passion for books and movies grew stronger and I even dreamed of working in cinema. However, it was only when I turned sixteen that creating stories for a living would start to sprout in my head. It happened the day I finished reading a novel one of my friends had lent to me. Though it wasn’t the first novel I had read by a long shot, that one book had such a powerful impact on me that it inspired me to create my own story and awakened my passion for storytelling. That book was Runaway to Freedom: A Story of the Underground Railroad, by Barbara Smucker. As motivation coursed through my veins, I started jotting down snippets of ideas on paper, but I couldn’t consider yet that I could handle an entire screenplay, even less a novel. At the time, I was interested in becoming a film producer, so my plan was to write a synopsis that I would then give to a professional screenwriter, when the time would come, to turn my vision into a script. Then, I started my studies, which had nothing to do with making movies or creative writing, getting lost in specializations I wasn’t meant for or passionate about. With the many distractions, I forgot all about my writing project. Five long years passed before I would be hit with a reminder. I was taking the subway home when my eyes fell on the poster of a movie that instantly brought back the memory of the story I wanted to tell. Everything changed from that day on. It was like I just had a revelation and was ready for a new quest. Filled with unbreakable determination, I got into work, researching and developing ideas for the story, weIl bent, this time around, on writing the whole screenplay myself. After years of searching my true destiny, what I was truly meant for, it became as clear as day that I had to write stories. But realizing the complexity of my first script and the time it would require to finish it, I made the decision to put it aside and instead perfect my craft and work on other screenplays. However, the path toward my dream would still be long and strewn with many obstacles. At times, I would be plagued with doubt, fears and uncertainties, making me believe that I could never make it, that my dream would never come to pass. It would seem so out of reach that I would feel hopeless, wondering how I could ever achieve that dream that felt like being etched into my whole being. It looked as though there would always be something in the way stopping me from getting where I wanted to be, that this aspiration was too big for me, and that I didn’t have what it takes. I let self-limitations drive my decisions, convinced that I would never be capable of authoring a whole book. I thought I didn’t have it in me. But never did any of those hurdles make me give up. 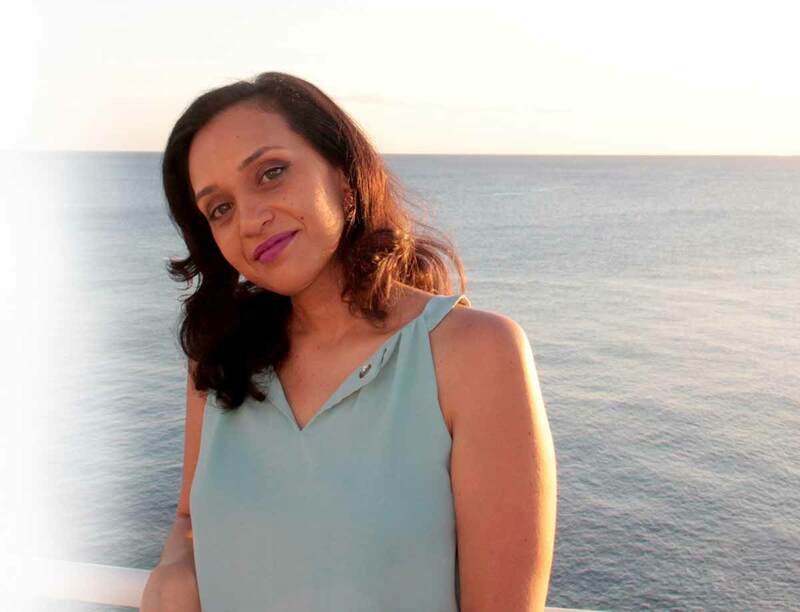 In 2013, I finally took the plunge and started my first book, but it was only in 2018 that I went for it and launched my writing career with the release of my first book, The Greatest Christmas Gift of All, at last making my dream come true.